Consider which glasses will best fit your face. 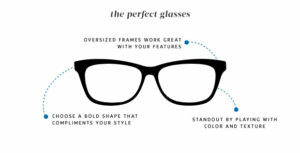 There is nothing wrong with choosing glasses simply because you like the way they look — but certain spectacle styles do tend to look better on people with specific face shapes. To understand your face shape, consider whether your face is longer than it is wide; whether your jawline is round, square, or pointed; and whether your hairline is wide or narrow. 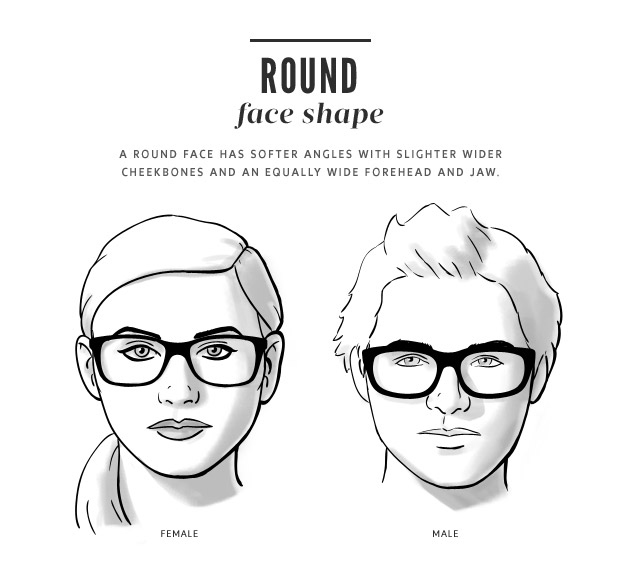 Wear angular, slimming glasses if you have a round face. Round faces are about as wide as they are tall, and they are characterized by softer, curved features. Straight and rectangular lenses will make your face look longer and thinner – especially if they sit high on your face. Stick to thin frames: thicker can overwhelm a round face. Try wearing glasses with a “butterfly” taper, in which the lenses taper down toward the nose. You can create a better contrast with your face if the corners are angular rather than rounded. Wear large or rounded lenses with slim frames if you have a square face. Square-faced features are angular, with a flat chin and strong jaw. If you'd like to soften your features, try wearing rounded lenses. 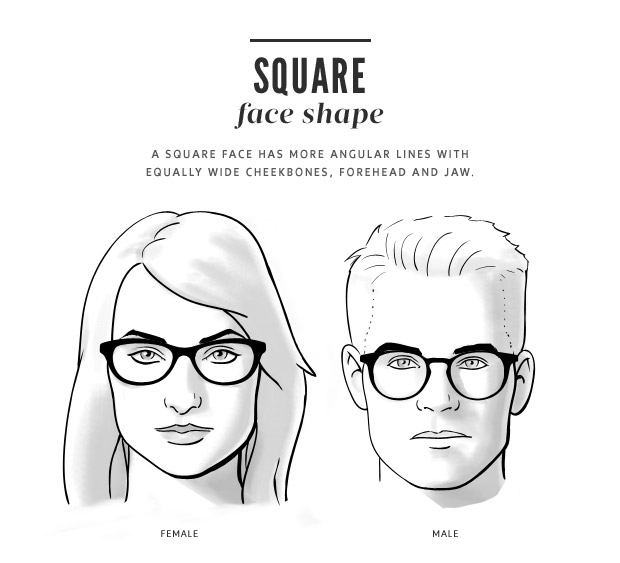 If you like the strong profile, but don’t want glasses to make you look intimidating, you can still use square-shaped lenses. Make sure, however, that the lenses are large, and roughly even in height and width. Avoid narrow, rectangular lenses. These may clash with your strong features. Keep the frames slim. 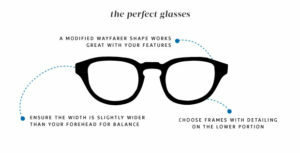 Heavy frames can overpower your features and take away from the rest of your appearance. 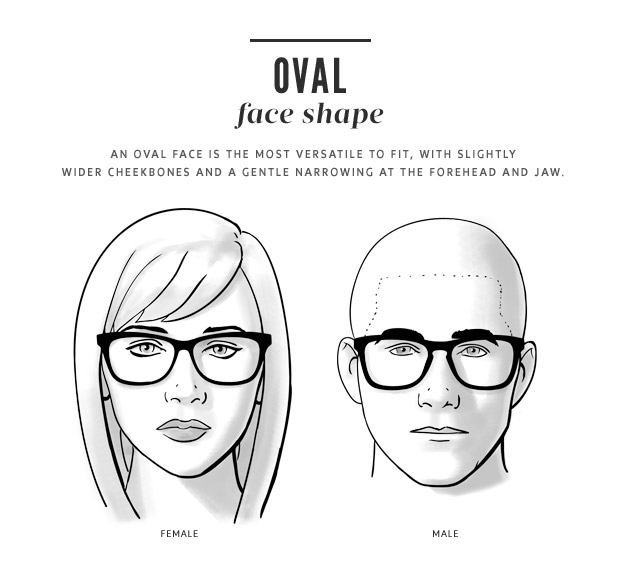 Wear any glasses if you have an oval-shaped face. Oval faces are long and relatively thin, with a rounded chin and high cheekbones. 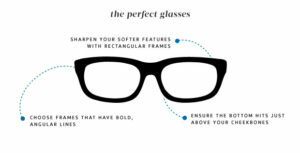 This face type works well with most styles of glasses, provided that you avoid the extremes. 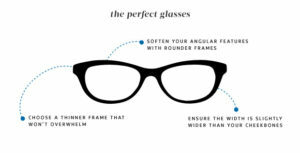 Feel free to wear curved or square frames. Wear wide or narrow lenses, according to your preference – but avoid lenses that are too evenly round or boxy. A thicker frame can add definition to your face — just be careful not to get anything so heavy that it overpowers your actual features. Wear tapered lenses if you have a heart-shaped face. 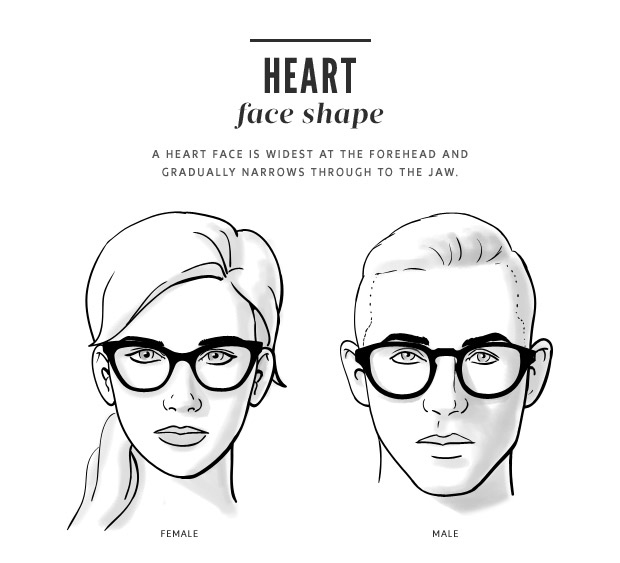 It can be hard to fit glasses for a face with narrow cheekbones and a small chin. If you'd like to draw attention from your pointy chin, try lenses that taper down from top to bottom. Likewise, a butterfly taper can help draw the eye toward the center of your face. Stay away from anything too blocky or squared-off. This usually doesn’t work well with heart-shaped curves. Very narrow frames may look somewhat fragile on a heart-shaped face. Try a thicker wire or plastic frame.